Ran in to this error after All the mods 3 was updated today. Looks like Ex Nihilo: Creatio had the same issue as well. Idea suggestion: Compressed lava and water. Make compressed cobblestone when fused. Otherwise, just act like normal lava and water. Maybe some fancy method of making them. Please, add ability to disable small coal in config(it appears when u put normal coal into workbench). I want to craft only Actually Additions small coal.. I could have sworn this said that modpacks were okay, but I figured I'd double-check here. Edit: Read licence. Looks like it's okay. I'd still rather double-check with you. Also, in the latest 1.10.2 version, I'm getting a crash when placing horse bait. Having an issue with this, and I'm not sure if it's something in a config file or what, but it's also in Sky Factory 3. I've never heard of a power unit abbreviated to FE, so I think it might be a typo in some config somewhere, but I can't seem to locate it. I believe it's Forge Energy, though it looks to be accepting RF for me (also playing Sky Factory 3). Either that or Immersive Engineering's wires are converting it for me. I'd recommend trying different wiring set-ups and if that doesn't work, use IE's wires until the issue is found/fixed, assuming it's not intended. JEI currently shows no craftable recipe for Iron Mesh. Is this normal, a bug, or something on my side?? I am currently using version 1.10.2-2.0.97. Edit: After some testing, I figured out what the issue was and am leaving my findings below so other who come along with the same question may find the information. 1) If you use Ex Compressum with Ex Nihilo Omnia, the iron mesh recipe shows up just fine. 2) If you use Ex Compressum with Ex Nihilo Adscensio however, the iron mesh recipe does not show up nor is it craftable. My guess would be that the iron version mesh in the latter mod replaces the iron mesh and thus, iron mesh isn't craftable. Is the currently any plan for an update to 1.11? The only really thing I need in the mod is the Chicken bait. There are a few skyblock modpacks out for 1.11 and the chicken bait could help. But I understand there may be a few porting issues from 1.10 to 1.11. There are other mods that I'm waiting for to update as well. #PlzEnderIO lol. The compressed blocks save time from breaking blocks down. Cobble -> gravel -> sand -> dust. 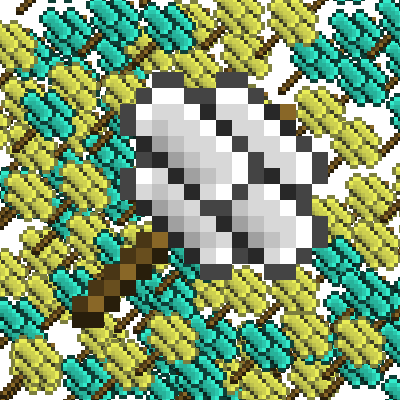 In order to break down the compressed blocks, you would need to use the compressed hammer. The regular hammer does nothing to the compressed blocks. Can you please add the sieve group function for heavy sieves like it is in Ex Nihilo Adscensio, so that you can place them next to each other and it will sieve all of them at the same time? At least make it configurable, even if not default. This is an awesome mod, plays nicely for Skyblock. I'm really liking the bait options, it covers what Pam's doesn't. Wondering about your spawn stats though. Will sheep always be white? Also, if I'm using Hatchery, is there any chance the chicken bait will spawn a hatchery chicken? That would be neat. It's always the default variant (so white sheep) and only Vanilla chickens. So what happened to the Evolved Orechid? Seems to be missing... At least for me. So what was included in the update? I was having trouble using compressed hammers to break compressed blocks and was hoping this would fix it. Have you read the changelog?